Fellow members, I was not able to photograph all the fish as it’s not always practical to photograph the release of one when in freezing water up to your chest. I caught about 40 fish, in excellent condition that gave great accounts of themselves and the best fight lasted 20 minutes roughly on the 8lber. Next best was around a good 15 minutes with plenty of 10 minute battles. All caught on Loomis Eastfork 5 weight bar one fish on 6 weight Loomis until a guide came away, and it was abandoned for the 5 weight again. The 6 wt will be ok for repair. If I go again I shall be taking Neoprene waders as I froze with undies on, merino long johns and 2 pairs of tracksuit pants and then the waders, that water is so cold! I believe in releasing them mostly and keeping only a few and this is the most fish killed by me for years. I might add that when you spot 15 fish working off a bank and take a few they are quickly replaced. 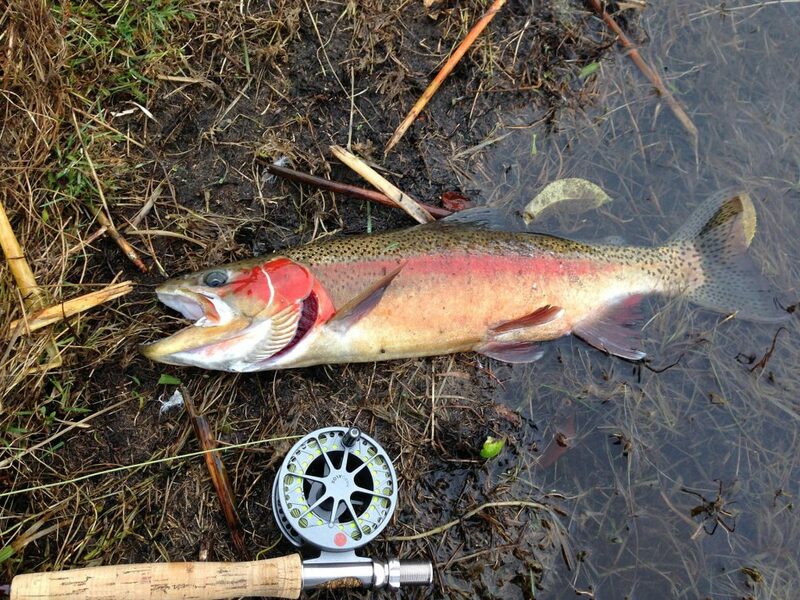 The biggest fish taken so far was by my mate at 9lb, and then he got an 8lb Rainbow yesterday as well. 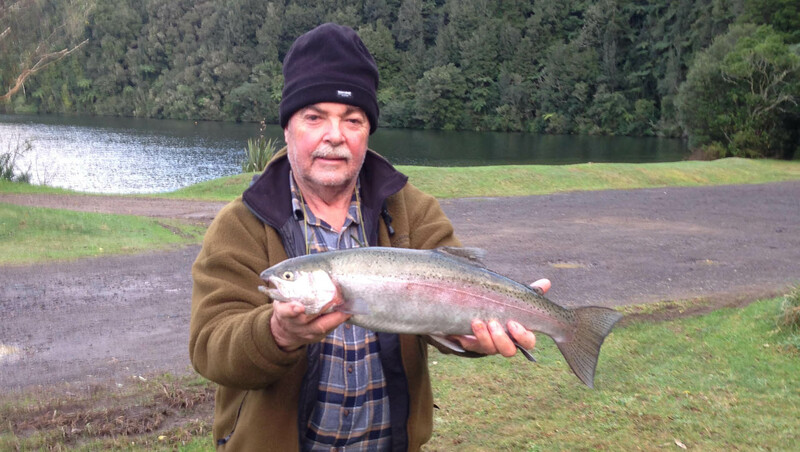 We saw a lot of double figure fish in another lake but they had been worked over already prior to us arriving. 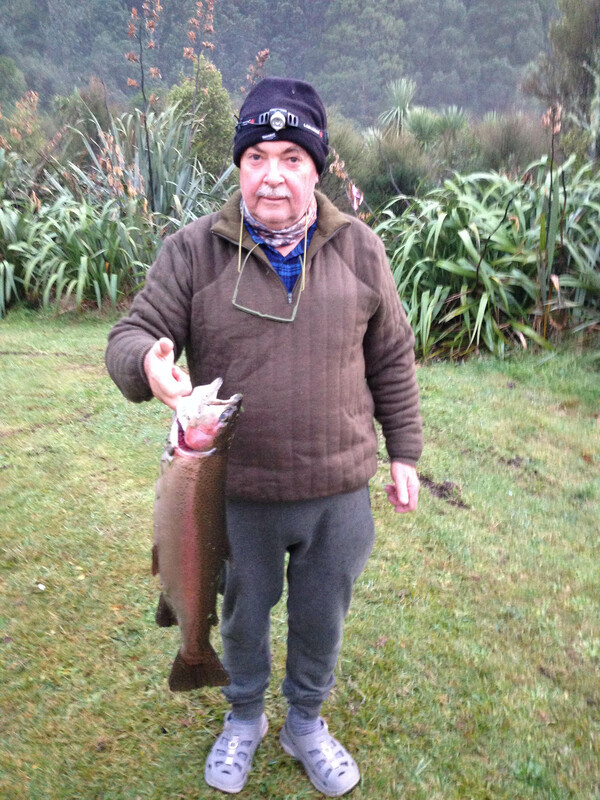 Best fish sighted by both of us was a giant Rainbow of around 15 lb and about 75cm length estimated. I trust you are all ok.